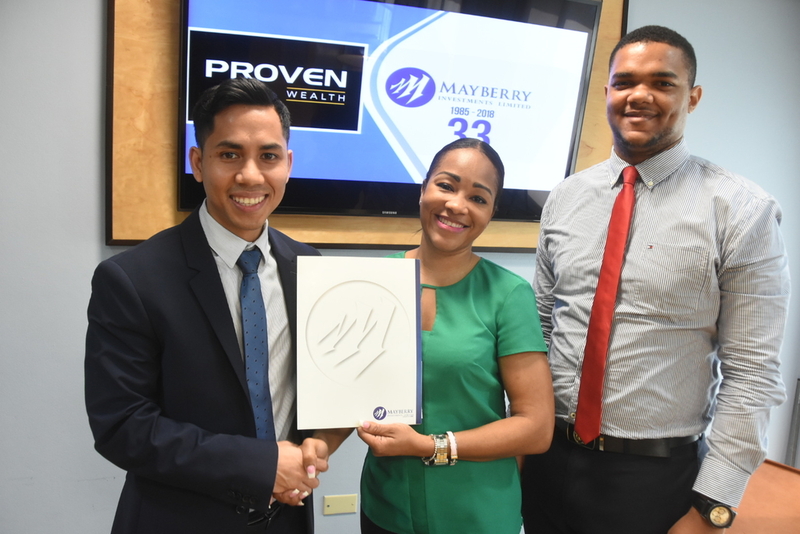 Karl Townsend (left), chief country officer, JMMB Capital Markets and Tania Waldron-Gooden (right), director of Investment Banking, Mayberry Investments Limited ‘inks the deal’, under the keen eye of Mckoy Jackson, senior manager of investment banking at Mayberry at that company’s head office. 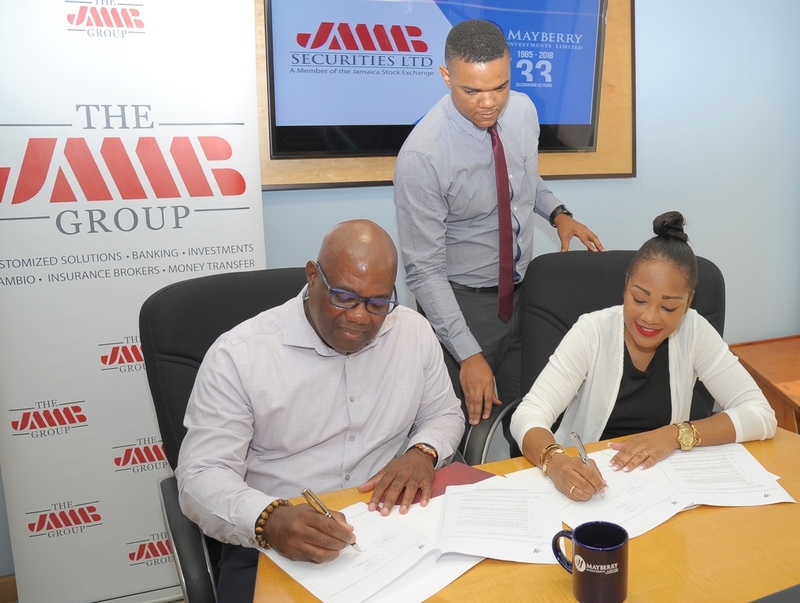 JMMB Securities Limited recently signed an agreement with Mayberry Investments Limited to serve as a selling agent for the Wigton Windfarms initial public offering (IPO). The Wigton IPO is expected to be completed by next month, according to the lead broker Mayberry. Mayberry last month invited all brokers to participate in the offering. 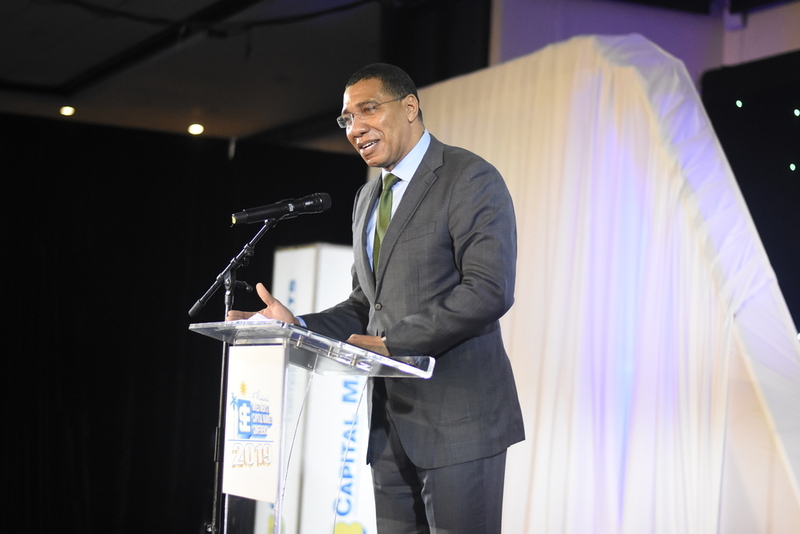 Director of Investment Banking at Mayberry, Tania Waldron-Gooden, said the move by Mayberry to invite all brokers to become selling agents for this IPO was driven by the mandate outlined by the Government of Jamaica (GOJ), to share all benefits from government divestments with all Jamaicans. With JMMB now joins four other brokers who have accepted Mayberry’s invitation. They are Credit Union Fund Management Company Limited, M/VL Stock Brokers Limited, PROVEN Wealth Limited and Scotia Investments Limited. These brokers represent approximately 138 locations island wide. 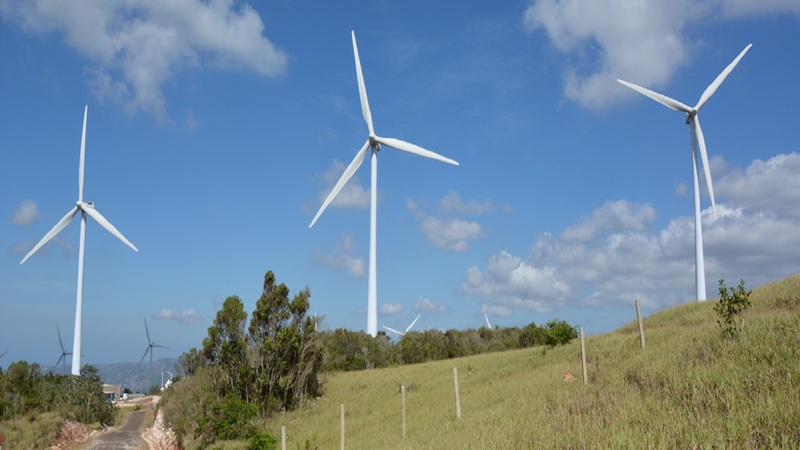 Wigton, whose core objective is developing renewable energy sources through wind and solar energy solutions, has been described as the Caribbean's largest wind farm.